How you’re getting to and from your match should be the last thing on your mind when you’re preparing for a sports competition. Las Vegas Charter Bus Company has worked with teams of every size, both amateur and professional. No matter how big your team is, you can rest assured that we can find a motorcoach that matches your exact needs. Contact us any time at 702-780-0886 to learn more about how we can assist you. On game day, you’ll likely have a bunch of team equipment that needs transportation along with your team. When you book a private coach, you’re able to request a bus with increased storage space, such as overhead bins and luggage bays. Pack all of your uniforms, balls, training equipment, and anything else on one vehicle when you book with us. We understand that teams vary in size based on sport. When transporting your athletes, coaches, training staff, and more, you need to know that your vehicle can safely and efficiently manage everyone. Whether it’s a 56-passenger charter bus you need for a large football team, or an 18-passenger minibus for a basketball team, we can quickly find the perfect solution for you. Your players and coaches need to be sharp and focused when it’s time to play. But until that point they need as much rest and relaxation as possible. On a luxury charter bus, you’re provided premium amenities such as WiFi, DVD players, lavatories, TVs, and plush seats. Maximize your team’s comfort during the ride so they’re read to perform at gametime. You don’t need to be an athlete to enjoy a luxury motorcoach. As a loyal fan, it’s your responsibility to be there to support your favorite team. Instead of sitting at home watching them, book a private coach and head to the next away game in style. Gather a group and pack your favorite tailgating essentials in an oversized luggage bay to recreate your favorite home game experience. 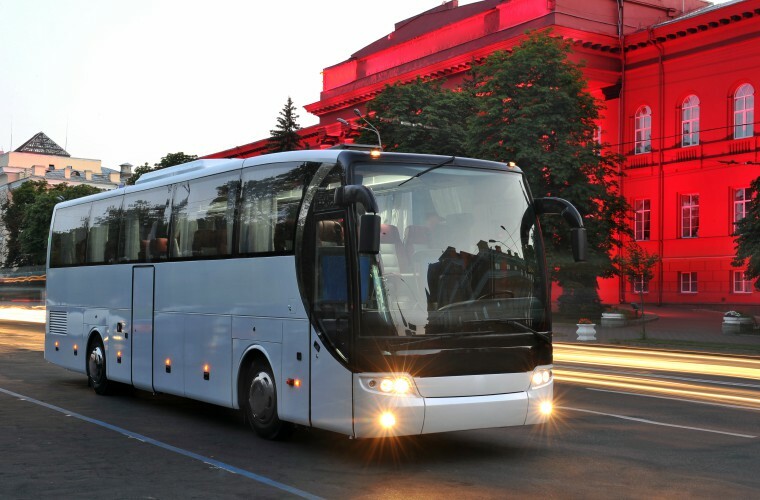 Make the smart move and book a private motorcoach with Las Vegas Charter Bus Company. We maximize the travelling experience for athletes and coaches, and help fans support their favorite teams. Call us today for a free quote at 702-780-0886!